Organic Goji Berry extract is a genus of the nightshade family (Solanaceae), containing about 90 species of plants native throughout much of the temperate and subtropical zones of the world. They are mostly found in dry, semi-saline environments. Organic Goji Berry extract fruits extract are used in many herbal formulas(such as tea, soup, stew and wine) to maintain overall health when suffering from chronic conditions, such as weariness of the loins and legs, dizziness and tinnitus, visual degeneration, headaches, insomnia, chronic liver diseases, diabetes and hypertension. Modern scientists have extensively studied wolfberry fruits for their nutrients and medical benefits. They have further substantiated the ancient medical applications such as maintaining healthy immune system (including specific and non-specific immune response), improving eye conditions, support liver function, maintaining healthy blood pressure and blood sugar. 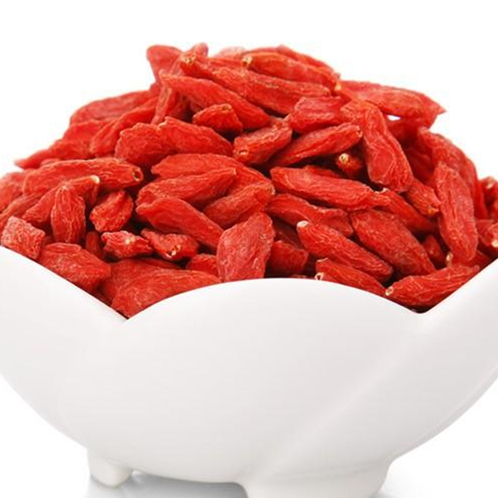 Looking for ideal Organic Dried Goji Berry Manufacturer & supplier ? We have a wide selection at great prices to help you get creative. All the Conventional Goji Berry are quality guaranteed. We are China Origin Factory of Dried Goji Berry. If you have any question, please feel free to contact us.